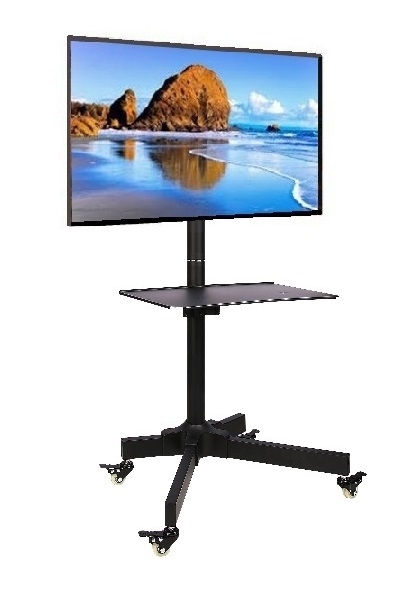 This sturdy, high-quality ergonomic Universal Mobile TV Cart with Shelf fits most 23”-55” LCD flat panel/LED/Plasma displays perfectly. 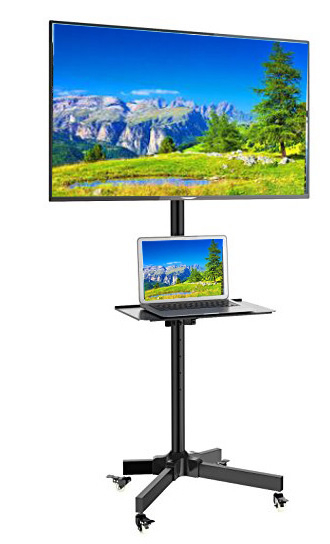 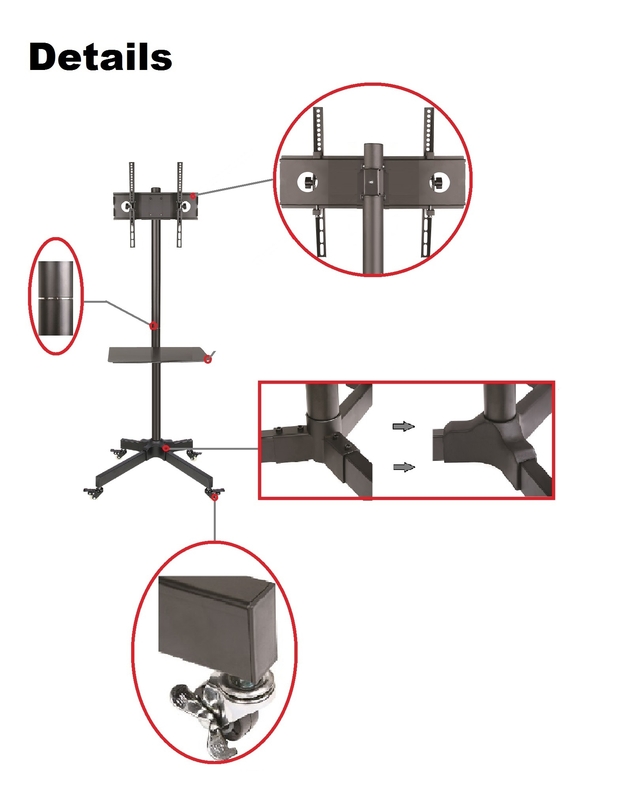 With classic black finish and heavy-duty high grade steel structure, this well-designed TV Mobile Cart is the ideal for conference rooms, calss rooms, home theaters, boardrooms, merchandising displays, digital signage, and much more. 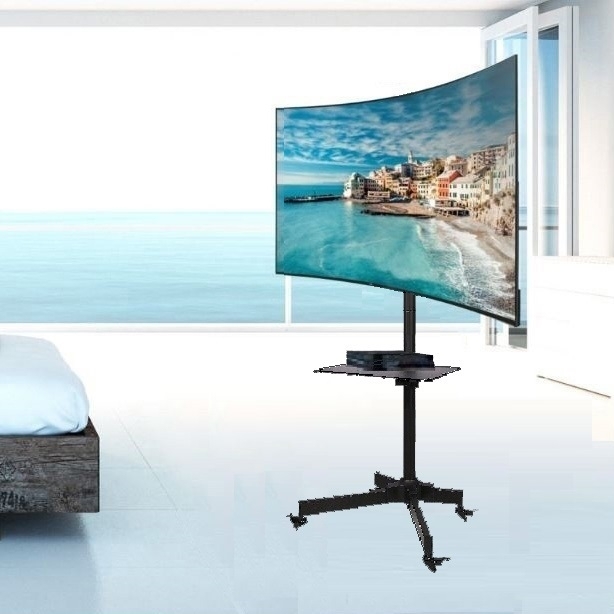 A perfect solution for mobility by removing clutter from the audio/video stations and providing users complete flexibility to reposition their displays with maximum comfort and optimum view ability. 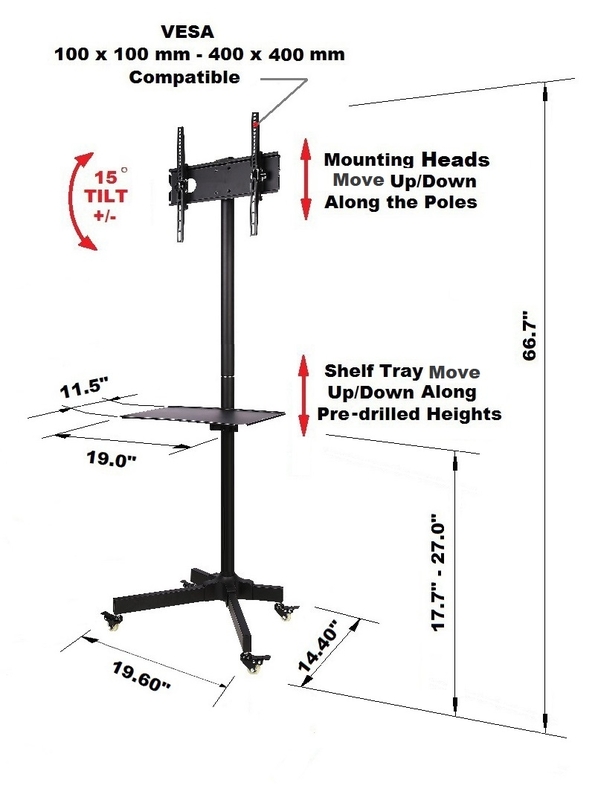 With 4 locking casters for easily rolling around and staying stationary when necessary. 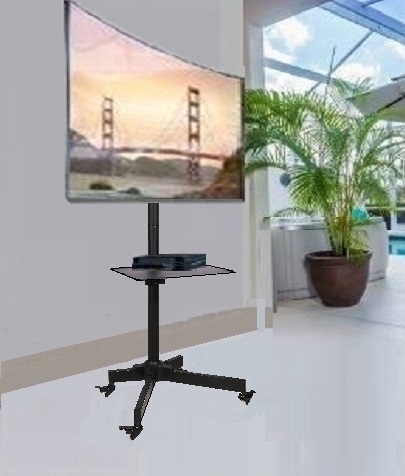 The TV height and the shelf height are adjustable. 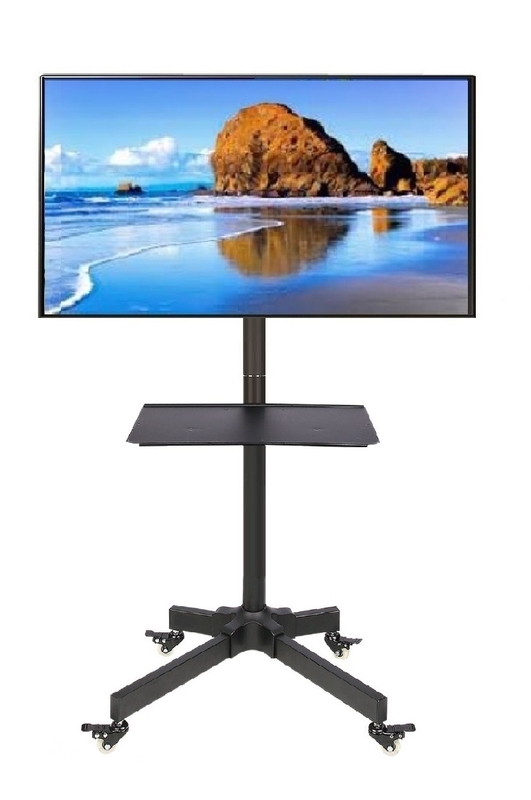 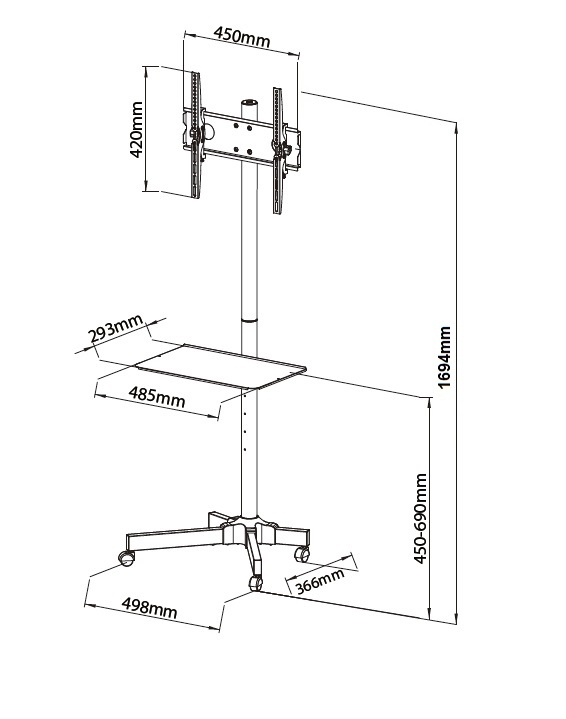 - Max size of the cart W x L x H = 14.4" x 19.6" x 66.5"
* Please check your display or Screen Manual to ensure the VESA compatibility with this mount before purchasing.